UX Design 2016: Too Many Hunters â€“ Not Enough Gatherers? 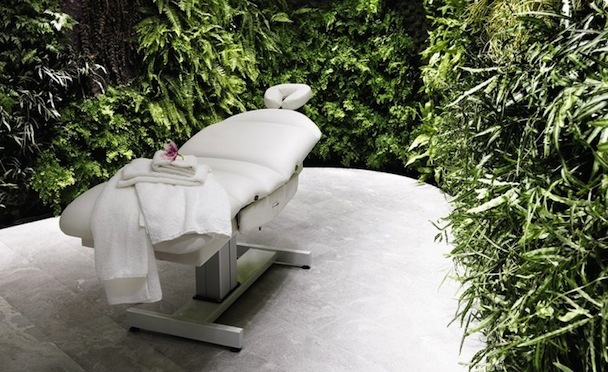 This may well be the nicest massage studio you’ll ever see. A lush ring of live tropical plants surrounds you as a team of infinitely serene relaxation professionals soothe away all your earthly cares. Where might you expect to find this room? No, in fact, the photo above was taken at the Qantas First Class Lounge at Sydney airport. Qantas employed French botanist Patrick Blanc to design the 8,500-plant indoor garden walls that line large swathes of their airport lounge. Customers are lovingly indulged while a stoneâ€™s throw away, mammoth jet engines whine and airport terminals surge with sweaty travelers. The contrast in user experiences couldnâ€™t be more stark. Virgin Atlantic’s JFK Clubhouse looks a space-age casino. Swiss Air’s Senator Lounge has a 5-star restaurant and 120 bottle whiskey bar. Obviously, this kind of luxury costs airlines a fortune to run yet it is offered free of (direct) charge to many customers. Airlines have come to understand the true value of a customer. Winning them is difficult and expensive, so spending money to make sure they stay is just good business sense. This is an area we don’t do as well at on the web. We talk about ‘customers’ a lot – but we usually use words like ‘acquisition’ and ‘conversion rates’ and ‘customer funnels’. Like Loch Ness monsters, online we spend much more time thinking about how to catch them, than what we’ll do if we succeed. 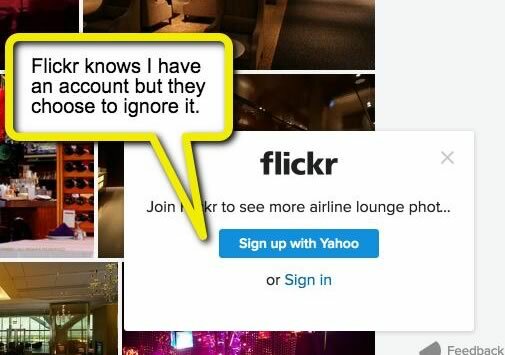 Flickr is a classic example. I’ve been a member since 2004, yet when I return, their big blue button is asking me to become a member. Signing in seems a boring afterthought. This week Richard Child wrote a thoughtful piece focusing on one company that’s doing well at this â€“ Trello. While we may have no way to gift returning customers free drinks and massages, we can make them feel more special by simply recognizing they have been here before (even before they’ve logged in). This is no more than youâ€™d expect from any good cafe owner or publican. A simple smile and nod. Maybe we’re just scared of being seen as creepy or overly familiar? That’s a reasonable concern. But I think it’s time we – at the very least- learn to stop pitching current customers chances to ‘Join now’ and ‘Sign Up Today!’.